Today in Waterstones in Coventry, Maria Alexander aka @IamMariaAlex has been holding a book signing for her first book – very exciting! 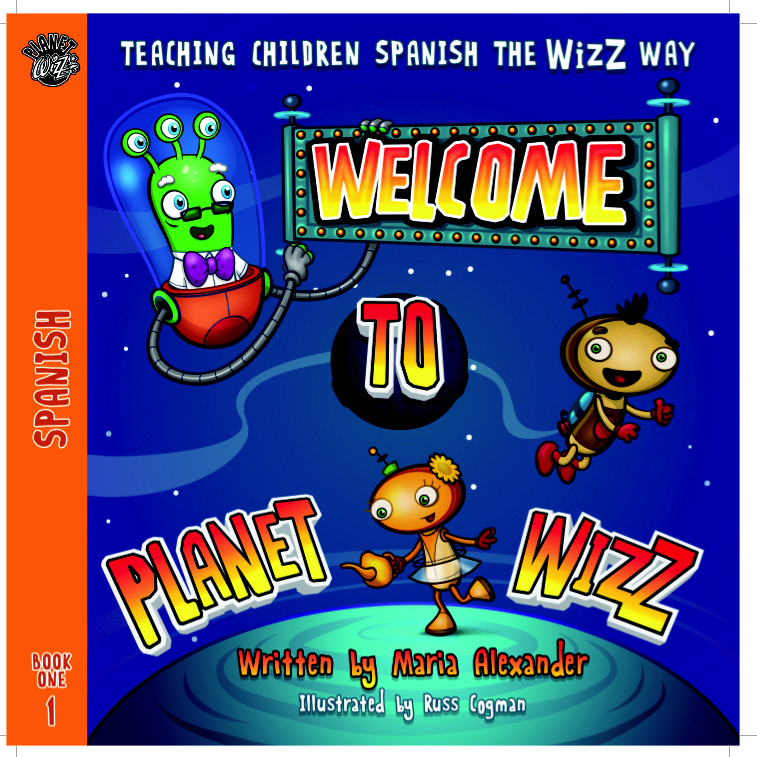 Entitled Welcome to Planet WizZ, it is the first of a series of books ‘Teaching children Spanish the WizZ way‘, and Maria kindly let me have a pre-launch look! Planet WizZ is ‘a mysterious little planet..that never stays still and keeps whizzing among the other planets.’ The planet is inhabited by wizzes, including Marrón and Naranja who are twins and the ‘stars’ of the story, along with Señor VerdeRojo who runs the only school on WizZ. 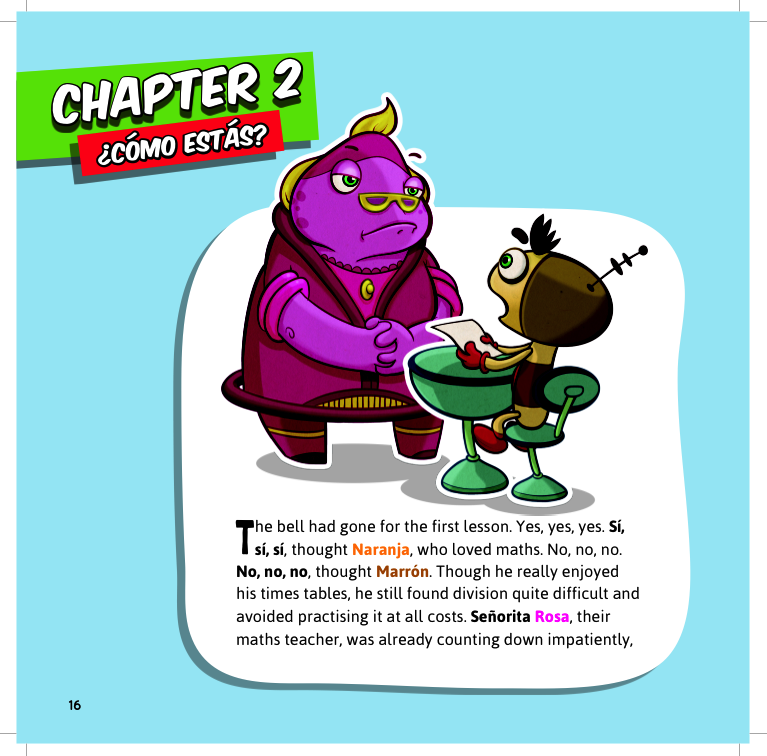 Spanish is the official language on Planet WizZ and, whilst the book is written in English, there are Spanish phrases in the text besides the characters names. Each chapter (five in this book) has a theme in the form of a question e.g. ¿Qué hay en tu mochila? ¿Cuántos años tienes? ¿Cuándo es tu cumpleaños? and within the chapter, relevant vocabulary is used which is then listed at the end of the chapter. I enjoyed the story – the characters are amusing and you quickly get to know their personalities and traits. The Spanish does not detract from the story by which I mean that the story doesn’t seem stilted as you switch reading between the two languages, and there aren’t too many new words introduced in each chapter. All the Spanish is highlighted in bold so it’s clear to the reader when the Spanish is coming, and the characters’ names are also written in the colour of their name (as I wrote the names above!) I loved the graphics – simple but very amusing and appealing. 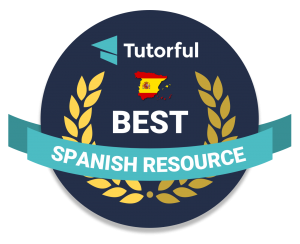 (I think all teachers could do with 5 eyes like Señor VerdeRojo) And I particularly liked the little bits of incidental ICU that appear as you read such as information about Spanish speaking countries, and also the ‘valuable lessons’ that the characters often learn by the end of the chapter! 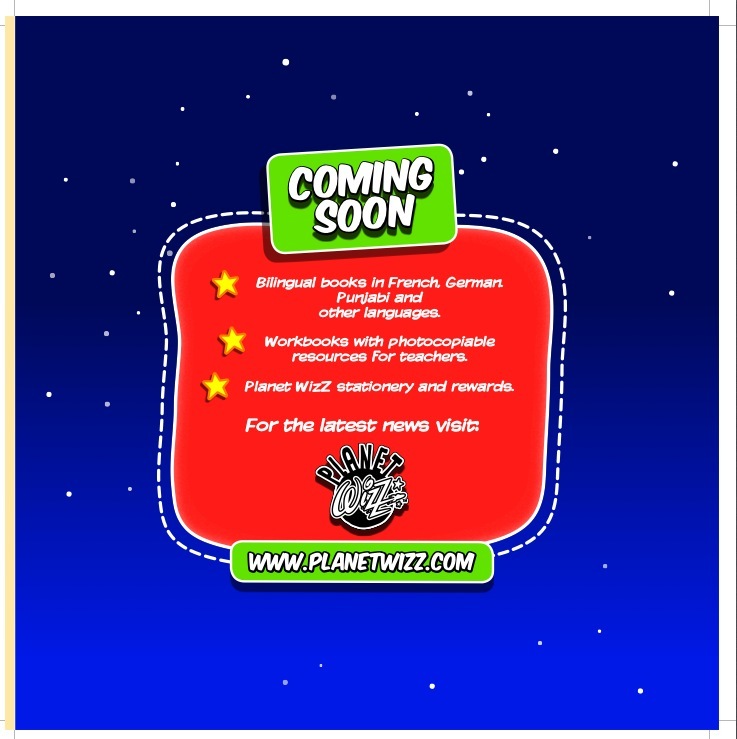 The page of vocabulary at the end of the chapter promises sound files for the pronunciation of each item on www.planetwizz.com – you can currently register for future updates and I sure that this will follow soon along with other supporting resources as soon as website glitches are sorted out. Whilst the books are aimed at 6-9 year olds, as Maria says in this lovely interview by one of her pupils, Ellie, they can equally be used by older beginners as a starting point as the themes such as numbers and the alphabet, are ones you usually meet at the start of language learning. The interview also talks about how some of the proceeds from the book will got to M.A.M.A., an organisation that uses art and music to make the world a better place! According to the Bablake newsroom you can buy the book, priced £6.99, from Waterstones in Coventry (where Maria will be signing more copies during late night shopping on Wednesday 19th), WHSmiths, independent retailers and on Amazon (although it says currently unavailable, they’ll have more copies very soon)and the Book Repository. Good luck Maria! Looks great!